The democracy Liberians fought for so many years are not exercise to RUSH and play with. It is a tedious and slow PROCESS, and PATIENCE is its most valuable VIRTUE. Liberia is our *Kpormeni (business) for which every Liberian has a part to play in her affairs. More importantly, democracy is not a system of QUICK FIX – it is a long drawn process that requires patience, Law, and Order. A classic example is an ongoing investigation which involves Donald John Trump, President of the United States, his family, and associates. October 10, 2017, Liberian Presidential Election is no exception! This election is about our future – the future of our children, grandchildren, and great-grandchildren. This is a palava, no individual or group has the monopoly to decide for the rest of us. It is the people’s thing! The days of the “so says one, so says all”, “mind your business” or “leave the people’s thing alone” are things of the past. Many of our compatriots died advocating for this day. While there were, and still are some who betrayed the cause; many of us are still around carrying on the struggle. Therefore, when discussing Liberia’s pregnant and vexing problems, it must be done with civility; no one should disrespect another person because he/she disagrees with their position. In a democracy, everyone has the right to express his/her opinion without being told to “shut up”; especially, when it is directed at a woman who could be your sister, aunt or mother. The statement below was posted by Mr. Dortu-Siboe Doe in the comments section of FrontPage Africa’s November 8, 2017, online edition in response to the article titled: “Frances Johnson Backs Liberty Party Call for NEC Board of Commissioners Recusal”. “There is a legal basis for that (Liberty Party’s complaint of electoral fraud and irregularities to the Supreme Court). Whenever you feel that your rights may not be protected by a certain officer – judicial or otherwise administrative, if you feel that person has already been compromised or they have already expressed pre-judicial statement against your interest…” it is your right to take legal action. Frances Johnson Allison, you just shut-up! As a then NEC’s Commissioner who is on national and public international records of being totally void of competence, integrity, and principle, you have no moral ground to say anything about a free and fair election or even justice. In fact, when it comes to discussions on elections in Liberia involving the CDC, you should recuse yourself. YOu (sic) are a shameless cheat and a fraud, to say the least. I see nothing in Cllr. Johnson-Allison’s statement that warrants such disrespectful response. How could Mr. Doe misinterpret Cllr. Johnson-Allison’s position with such an insult? She is someone’s mother, a wife and more importantly, a responsible citizen who has served our country for over 45 years. This behavior has no place in our civil discourse. It is such reckless remarks George Orwell alluded to when he said: “If liberty means anything at all, it means the right to tell people what they do not want to hear”. Tell them the truth, not insults! As a Progressive, a social and political activist for over 48 years, I have encountered similar individuals. Some of whom find palava with me because they do not want to be told the truth. To them I simply say Liberia is our *Kpormeni; therefore, every Liberian has the right to make Liberia his/her business. No one has the right to tell another Liberian to shut-up when discussing Liberia’s palava. I pity Liberians who feel they know everything pertaining to Liberia. They see themselves as experts on ALL matters concerning Liberia, and when the fact is, they are on the wrong side of the issues. The only justification I can come up with is that they too preoccupied with preserving their social connections, or relationship with the powers that be and their CORRUPT elitist status. Then they encountered patriots who have the best interests of the country at heart; and when they are not able to provide reasonable arguments, they resort to insulting the person they disagreed with. All I have to say to this approach is, if you cannot stand the heat in the kitchen, you have no business being there. Simply put, if you cannot tolerate disagreements, don’t participate in the Liberian discourse, PERIOD! 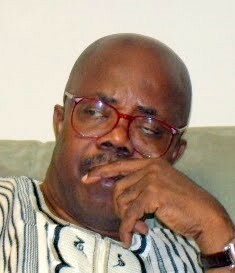 It is important as patriotic Liberians to adhere to the rule of law in adjudicating all matters, especially electoral disputes; the protection of our constitution and fragile democracy. 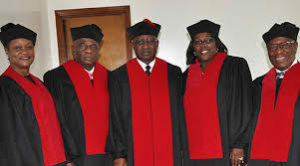 This is the first time that I can remember; the Liberian Supreme Court is exercising its constitutional authority; now the same people that that accused in the past of not doing their job – are blaming them for doing their job. They called it delaying the electoral process. Isn’t that strange! Proponents of such argument should read CHAPTER VII (THE JUDICIARY), Articles 65 and 66 of the Constitution. The Judicial Power of the Republic shall be vested in the Supreme Court and such subordinate courts as the legislature may from time to time establish. The courts shall apply both statutory and customary laws in accordance with the standards enacted by the Legislature. Judgments of the Supreme Court shall be final and binding and shall not be subject to appeal or review by any other branch of Government. Nothing in this Article shall prohibit administrative consideration of the justiciable matter prior to review by a court of competent jurisdiction. The Supreme Court shall be the final arbiter of the constitutional issues and shall exercise final appellate jurisdiction in all cases, whether emanating from courts of record, courts not of record, administrative agencies, autonomous agencies or any other authority, both as to law and fact except cases involving ambassadors, ministers, or cases in which a country is a party. In all such cases, the Supreme Court shall exercise original jurisdiction. The Legislature shall make no law nor create any exception as would deprive the Supreme Court of any of the powers granted herein. According to Cllr. Frederick A. B. Jayweh, Liberia’s “Civil Procedure Law provides that a civil action is commenced by - 1, the filing of a complaint; 2, the filing of an answer; and 3, the filing of a reply. “Thereafter, the Court or Administrative Agency before whom these Legal Papers are initiated and filed, must first hear and determine who is right or wrong first before making any further declaration. The failure to respect the value of this process will legally offend the doctrine of Due Process of Law and Fairness; and by extension, Prohibition, will lie and be sustained. In short, a stay order will be invoked and appropriately imposed immediately by the Supreme Court. The Supreme Court’s interpretation of the Constitution should be celebrated by us. Let’s call a spade, a spade! The NEC too should bear some of the faults for the current impasse Liberians find themselves. Therefore, we should not rush to judgment. Reckless statements such as, “CDC will accept nothing less than timely return to democratic election process”; or “The truth is that there was no legitimate, moral, statutory, nor constitutional, basis for the Supreme Court to have ordered the halting of NEC’s election activities and in effect the preparation of the runoff, when in fact, the NEC had not yet disposed of the complaint brought before it – the NEC! Hence, it is not the NEC that will be blamed for the delay of the runoff. It is the Supreme Court that will be blamed for the runoff”, wrote Dortu-Siboe Doe. In law, there is something called DUE PROCESS! Dr. Augustine Konneh made a very good point here. He says, “The ruling of the Supreme Court in the case of the Liberty Party has implication for the rule of law in Liberia. The Court’s decision did not only uphold the rule of law but gave assurance to aggrieved Political Parties and candidates in an election that they can be given the Due Process. The Supreme Court’s action suggests that the Judiciary is willing to listen to people’s problem within the legal system. Therefore, there is no need for parties, other groups, and individuals to resort to violence or take extra-legal means to address their grievances which is not good for the rule of law.” I agree with his points! Let’s call a spade, a spade! Let’s call a spade, a spade! There were many irregularities that even some international observers reported about. For example, it was reported that the process leading to the election was problematic. Also, it was reported that most NEC workers were incompetent – they did not know how to identify names by alphabetical order and could hardly direct voters to their proper queues. And then for the U.S. Embassy in Monrovia to issue a press statement on November 15, 2017, calling for the Supreme Court of Liberia and NEC to speed up the process is not only disingenuous but INSULTING to Liberians. Is there a different brand of DEMOCRACY for Africans and all peoples of COLOR? What America CANNOT tolerate; they want others to accept. If the U.S. Government has nothing good to say in this matter, they should leave us alone. They should first take the specks from their eyes before they attempt to remove ours from our eyes. What sense does it make to suggest! 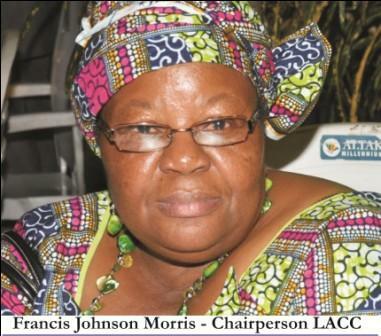 “…Disputes and litigation should be initiated and conducted in good faith by the claimants, the NEC, and if needed, the Supreme Court, in an expeditious manner to permit the timely conclusion of Liberia’s electoral process and a peaceful transition. What a gross disrespect to us! If the U.S. had care that much they would not have tolerated the 12 years of corruptions under President Ellen Johnson Sirleaf, her family, friends and corrupt elites. Thanks for your advice; we do not need it! That’s our message to you! There is a saying in Liberia called: “Hurry, hurry burst trousers”; and that “Patient dog eats the fattest bone”. These are parables our parents and old folks taught us when growing up in Liberia. The Almighty God too, used similar advice to the people of Israel when they were impatient to reach the Promised Land. The world in which we live is full of many surprises and misfortunes; some are temporary, while others are avoidable; but most of them I believe are caused by man’s disobedience to God. This reminds me of the statement, “A delay is not denial.” It was directed at the Israelis who were disobedience to God and began to engage in all sort of evil activities because they did not hear from God at the time they wanted. The same is true in our case; therefore, it is paramount we should adherence to the rule of law in the adjudication of all electoral disputes and the protection – to protect our democracy and Constitution. “…The challenging parties are adhering to the provisions provided by the law, and a potentially volatile electorate is showing restraint and learning the finer points of democracy. President Sirleaf says Liberia’s democratic institutions are strong and able to withstand challenges, but that democracy is only as strong as its weakest link”, observes one political commentator. The Liberty Party’s legal action is a precedent in the best interest of our country and democracy. This is the first of its kind! The one that comes close to it is the presidential election dispute between President Charles Dunbar Burgess King of the True Whig Party (TWP) and presidential candidate Thomas J. R. Faulkner of the People’s Party (PP) in 1927. The difference is Hon. Faulkner had no confidence in the judicial system of Liberia, so he built up another case, and went the time was right, he took his complaint to the League of Nation (precursor of the United Nations). The story about the Bassa ethnic group in Liberia is worth stating here. This ethnic group is noted for exercising their rights in the court system. Unlike their Kru (Klao) cousins, they will sue a person at the ‘Justice of the Peace’s court over matters one might not consider relevant. For example, I had a cousin named Garvlen (big man). He was a trader (street). They were commonly referred to as “Here-na boys”. One gentleman in our neighborhood (Clay Street, Monrovia) owed Garvlen a balance of 25 cents for merchandise he bought from him. But when Garvlen approached him for his 25 cents debt while he was playing Checker, he got annoyed for being disturbed over 25 cents business. He said to Garvin, “Go sue me!” He did just that; paid $1.50 to sue him to recover his 25 cents debt. Liberians are not in the practice of keeping records (history). Many young people will not know about this true story of the Justice of the Peace named Henry Logan of Lower Buchanan, Grand Bassa County. I knew Charles Walker Brumskine in Lower Buchanan. The young lady I dated - Anita ‘Tencent’ (nickname) Doegbee (deceased) and Brumskine were classmates (senior class) at Bassa High School in the late 60s. Anita became my wife. Taking people to court was a common practice among the Bassa people in Grand Bassa County and Monrovia. There was a Justice of the Peace named Henry Logan, but he was referred to as Henry Dehgoe. His court was known as Dehgoe (Dehnigoe) Court. He held court at any hour. His court was the talk of the community. This was the environment Charles Walker Brumskine grew-up in. Dehgoe (Dehnigoe) in the Bassa Language means “not to postpone or delay”. You could sue anyone in his court at any time of the day or night. I believe he holds the record of being the first to have night court in Liberia, and for that matter, Africa. Besides being a lawyer, Cllr. Brumskine took his complaint to the Supreme Court of Liberia because that’s the Bassa thing to do. Also, based on our Constitution, it is the right thing to do. I am not a member of Cllr. Brumskine’s party; I am a lifelong member of the Movement for Justice in Africa (MOJA) and a Progressive of the 70s & 80s, who has not betrayed the Liberian People’s Struggle. But regardless of the beef one may have had, or have with Cllr. Brumskine, if he does the right thing, I believe, he should not be judged on the past, rather he should be judged on the merit of his present correct action, especially, in this case. Folks, the SOCIAL MEDIA, and the INTERNET are here to stay! There is no turning to the old ways of doing things. The SOCIAL MEDIA is a revolution readily accessible to anyone who can use the technology. No government can control or repress the people’s FREEDOM to express themselves. What I found unique about the SOCIAL MEDIA and the INTERNET during the 2017 campaigns and the October 10 Presidential and Legislative Elections, is free speech and expression was at its best. This is the stuff a democracy is made of! Supporters of each candidate posted on the Internet the reason(s) their candidate was the best as opposed to the other candidates. This means the efforts of the PROGRESSIVES of the 70s and the 80s is not in vain. However, there were some individuals who took their freedom of expression to the extreme; they insulted those they disagreed with; forgetting to know that freedom of speech has its LIMITS! Check out the “Clear and Present Danger” Doctrine. If this continues in the comments section of ThePerspective.org, we will BLOCK such individual from posting in our comment section. Finally, there is a concern for justice in our world today. However, to achieve justice in this world of ours, we must understand how God views it. So, let me leave you with The Parable of the Persistent Widow (Luke 18:1-8 The New International Version (NIV). If you’re a believer, let’s leave the current impasse to God Almighty to handle it. With Him nothing is impossible. But please to don’t say, “God helps those who help themselves.” This statement is NOWHERE to be found in the BIBLE! So, my fellow Liberians, let’s leave it to God – for His time is the BEST. In union strong success is sure, we will overall prevail. *Kpormeni means: “That’s your business” in Kpelle, the largest ethnic tribe in Liberia.